Find the perfect dining table for your kitchen or dining room. Choose the ideal size, material and colour. From gloss to glass, oak to pine. Round glass top table with gold legs. 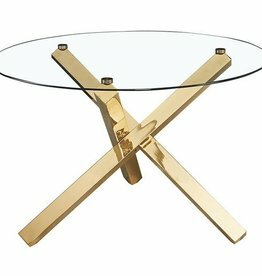 Gleaming gold finish legs with a clear glass table top. Dining table in oak effect and white. Boden solid pine extending dining table. Constructed from solid pine with a rough sawn finish. Solid industrial style table featuring metal crossed legs, a wooden top and a metal rim. Champagne gloss top with gloss,wood veneer and chrome base. 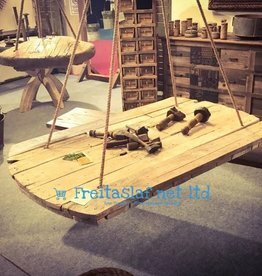 Designed to fit into a rustic themed setting. Crafted from the highest grade pine giving you real durability. 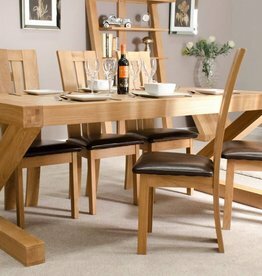 Torino oak 1 leaf extending table. 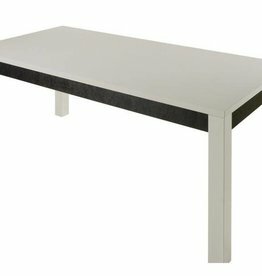 Torino large extending dining table. Solid oak top, square leg profile. Now ungrooved. 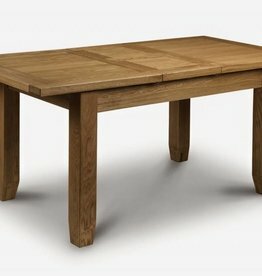 Trend oak large dining table. 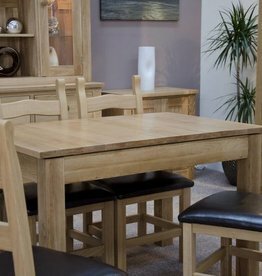 Trend range furniture is made from high quality European solid oak wood. 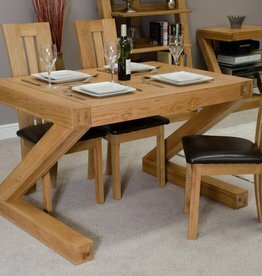 Z designer solid oak small dining table. The collection features a chunky oak design with contemporary Z shape. 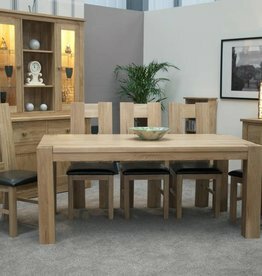 Z designer solid oak large dining table. 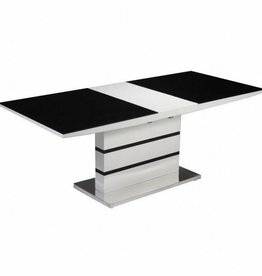 Miami high gloss dining table. White high gloss with oak finish extension and base finished in chrome detail. This sophisticated piece will suit any home.